Unenhanced high resolution bone window CT scans of the neck show the heavily ossified styloid process in the axial plane. A, Origin is seen just in front of the stylomastoid foramen (arrow). B, Midportion of calcified styloid process, at the widest aspect (arrow), can be seen. 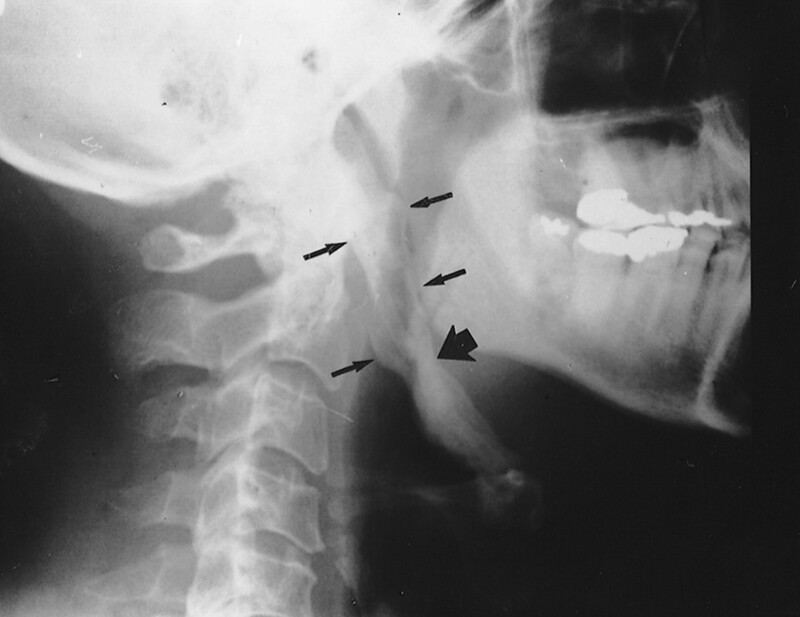 C, Distal insertion of the calcified styloid into the anterolateral hyoid bone (arrow) can be seen.